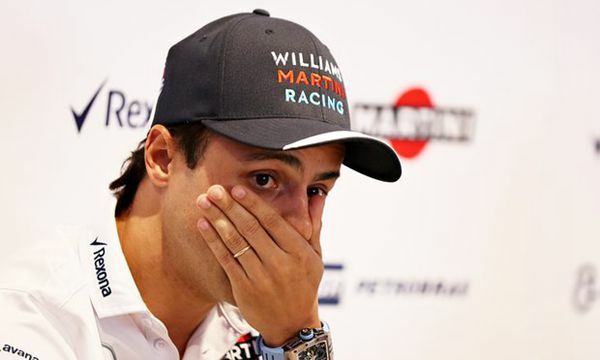 Felipe Massa struggles to hold back the tears as he announces his retirement from Formula One in the runup to this weekend's Italian Grand Prix. Brazilian driver Felipe Massa has announced he will retire from Formula 1 at the end of the current season. The 35-year-old revealed his decision at a press conference on Thursday ahead of the Italian Grand Prix in Monza. "After 15 years in Formula 1 this will be my last season," the Williams driver said. "I'm going to enjoy my last eight races as much as possible. Massa made his Formula 1 debut with Ferrari in 2006, winning 11 Grands Prix in his first three seasons with the Italian constructor. Doctors said he was lucky to survive after suffering a fractured skull during qualifying for the Hungarian Grand Prix in 2009. The injury forced him to miss the last four months of the season. Massa joined Williams in 2014, where he has achieved five podium finishes. He is currently 10th in the drivers' championship with 39 points from 13 races. "I was able to fulfil a lot of my goals and I'm proud of my career. I achieved a lot more than I'd hoped," Massa said.